Andalusia is the place to go for experiencing that authentic Spanish atmosphere you’ve been looking for. The home of flamenco is also where you’ll find the most beautiful landscapes, the greatest food and the most authentic hidden gems around. 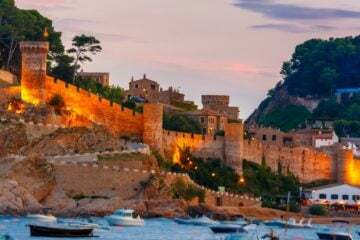 You never know what the little clifftop villages are hiding (probably some really good tapas) or what a ticket to an equestrian show will entail. Luckily we’ve done some of the groundwork for you and put together this list of our personal top ten experiences in the region. Andalusia is a wonderful hub of equestrian culture. 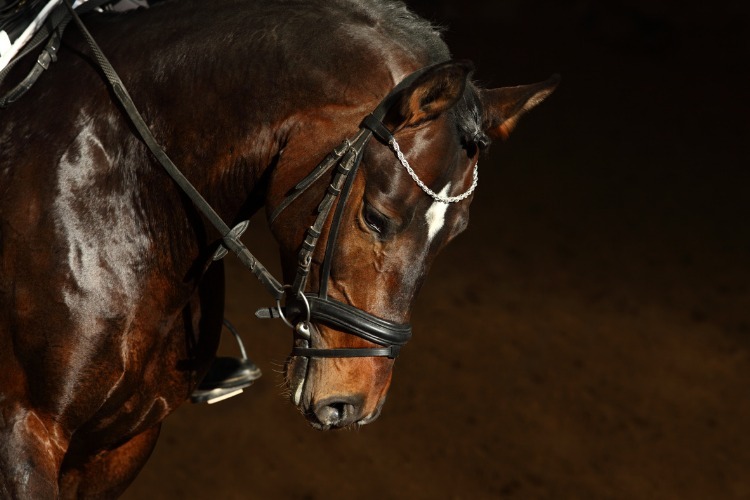 The beautiful Andalusian purebreds and Andalusian-Arab crosses are a real pride of the region. In town Jerez de la Frontera, where picaderos abound, you will also find the famed Royal Andalusian School of Equestrian Art who offers guided visits (including training sessions and the Museum of Equestrian Arts) as well as magnificent dressage shows. These shows are famous for their dancing stallions prancing majestically to traditional Andalusian music. 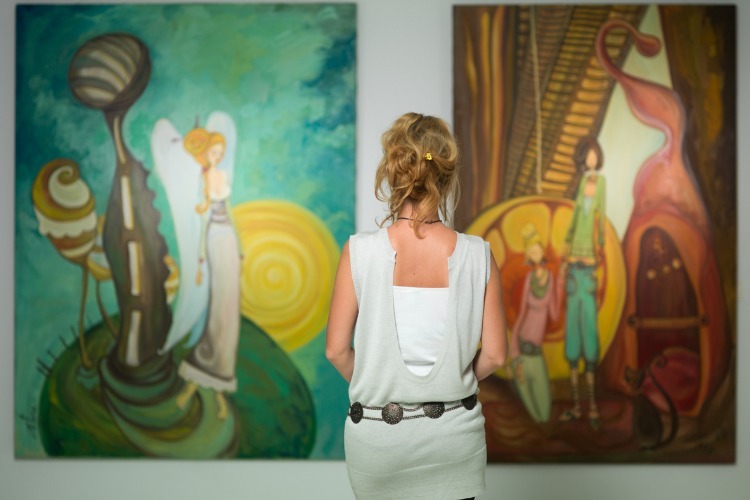 It is a great exhibition of local high culture, and a sight you won’t forget in a hurry. The Spanish name for this delicacy is jamón serrano, mountain-cured ham. 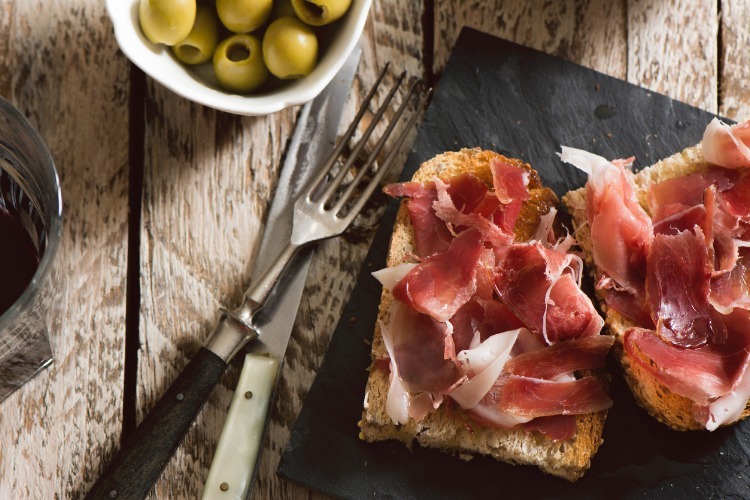 The Andalusians do it extra special because the local Serrano ham is made from the native Iberico pig, a small brown pig that mostly eats acorns. Real, good Iberico ham is served raw and thinly sliced on bread. It’s never used in cooking. There are plenty of Andalusian villages with their own serrano production, each and every one worth trying. Our prime recommendation is Trevelez, a small village in the Alpujarras where the mountain air is ideal for the curing process of serrano. Pop into Meson Joaquin and order the ham plate along with other local delicacies. Book: No need, just show up! You’ve probably heard of this world-famous dance, but to the locals, Flamenco means much more than just dancing. The 3,000-year-old art of Flamenco combines a myriad of historic cultures into dancing, singing and fabulous costumes. It is a unique piece of Spanish history and Andalusia is undoubtedly the heart of flamenco tourism. 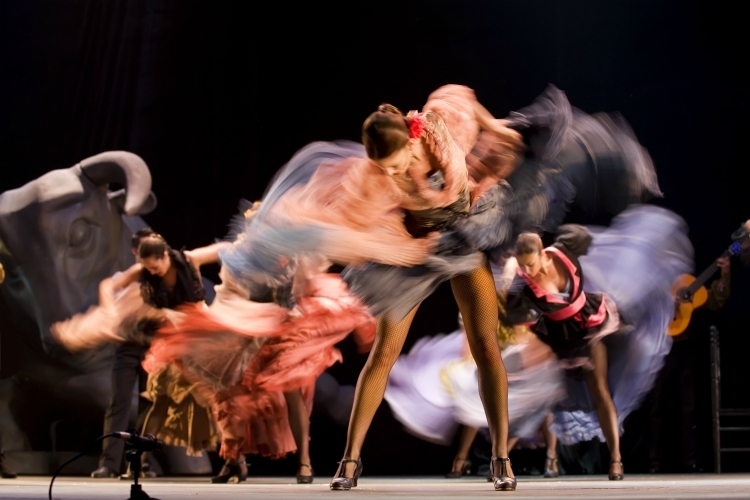 The best spot to learn all about its diversity and history, not to mention attending a traditional performance, is at the Flamenco Dance Museum in Seville. At this interactive museum, you’ll get a real insight into the magical world of flamenco, guided by the language of the heart: dance. The Grand Mosque-Cathedral in Cordoba is a unique treat for lovers of architecture. 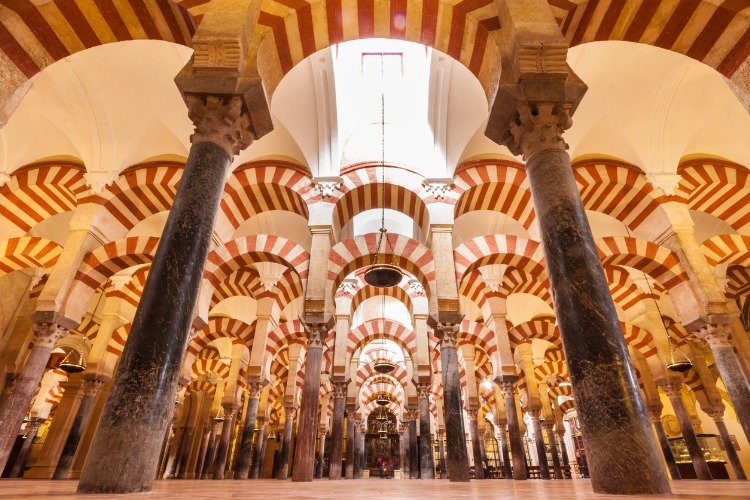 It’s truly one of the finest displays of Moorish architectonics in southern Spain but it speaks even louder of a time when Muslim, Jewish and Christian culture coexisted in Andalusia. While originally built to be a great mosque, the Christian church inserted a cathedral in the middle of the structure in the 16th century, making it a big hodge-podge of religious observation. Besides the Mezquita’s beautiful orange-tree courtyard and iconic bell-tower, its real highlight is the vibrant interiors. We recommend a visit to the light and sound show held here at nighttime. In case you didn’t know, Andalusia is a great natural beauty. It’s home to some incredible landscapes and wildlife that shouldn’t go unexplored. The boggy marshlands and crashing dunes at Doñana National Park is one of the finest examples. 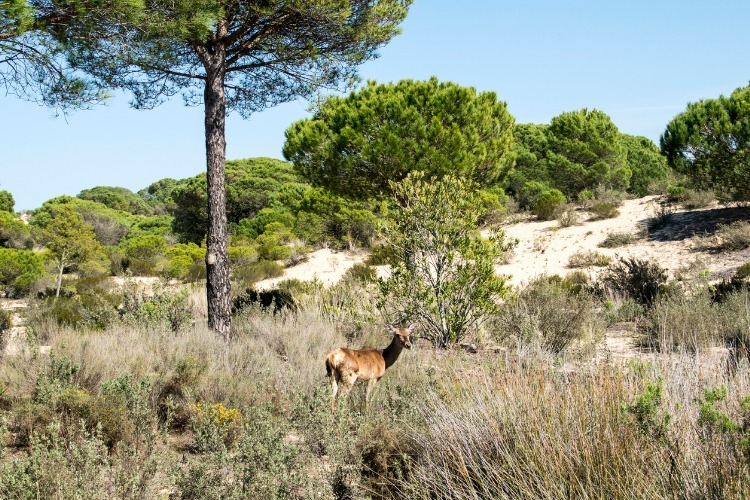 Its three-kilometre La Rocina trail is perfect for spotting migrating birds and even the elusive Iberian Lynx on a good day. The park is considered by those in the know to be one of the most important protected natural areas in Europe, as it is the last refuge for many endangered species. It’s a real one-of-a-kind place to spend a day getting back to nature and breathing some fresh Andalusian air. The birthplace of Pablo Picasso, Málaga hosts a fascinating museum dedicated to his life and work. Showcasing over 285 of Picasso’s creations, spanning from his childhood to the birth of cubism, the Museo Picasso Málaga is a must-visit for art lovers. The permanent collection at the museum was refreshed in 2017, giving visitors a whole new experience of Picasso’s genius. In addition to the permanent collection, there are also guest-exhibitions on display. Past visitors include Warhol, Pollock and Torres-Garcia. The Picasso Museum is housed in the Palacio de Buenavista, a prime example of 16th-century Andalusian architecture in the heart of the old city. Book: No need, but if you want to beat the queues – book online here! 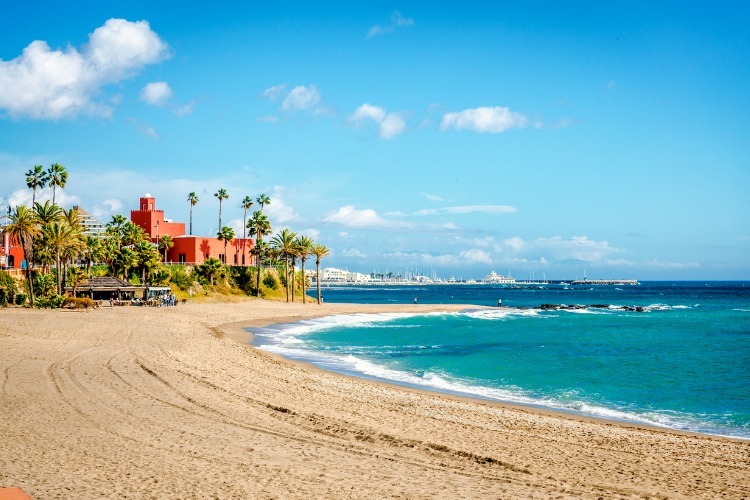 Andalusia is home to the world-famous Costa del Sol where white sandy beaches and aquamarine waters abound. 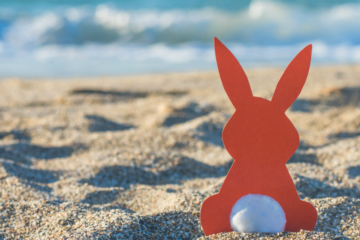 Take some time to dig your toes in the sand, pick up that book from the bottom of your suitcase, play in the waves and enjoy being on holiday. This coastline is over eight hundred kilometres long, so there’s more than enough room for every type of beach-day, from lounging under a parasol to paragliding. A lot of these beaches will serve incredible seafood right on the sand as well, so keep an eye out for a great lunch spot. 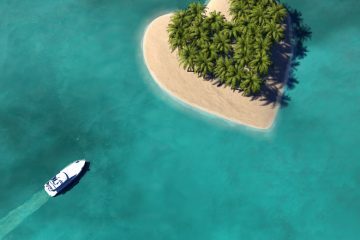 There are plenty of big beach resorts on the costa, but if you take your time you’re sure to find more hidden gems too. Book: Of course not, just show up! 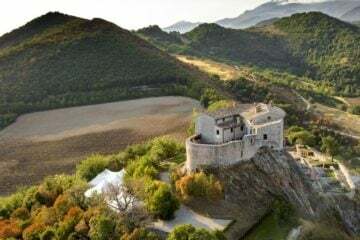 Andalusia is full of as-seen-on-screen locations, and some of the most impressive are the whole host of iconic filming locations from everyone’s fantasy favourite: Game of Thrones. Ever dreamed of walking the Water Gardens of Dorne in real life? Well you can, if you make your way to the Alcazar of Seville. 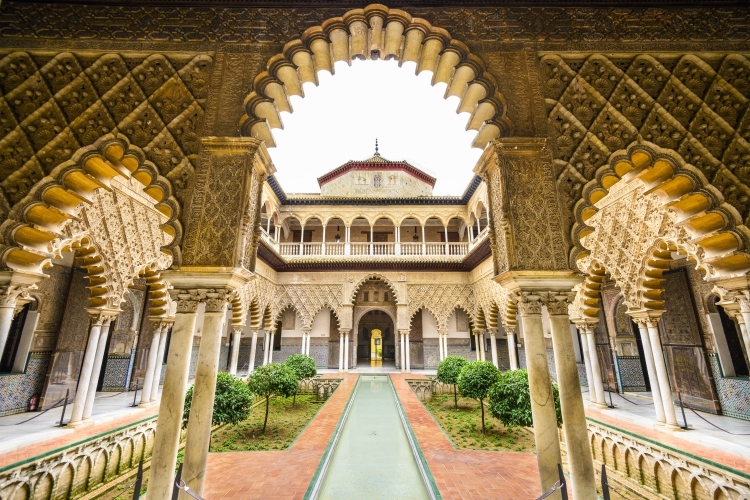 The Alcazar and many other locations around Andalusia have been transformed on-screen to portray the seven kingdoms, so why not tour them all? Find a complete list here. 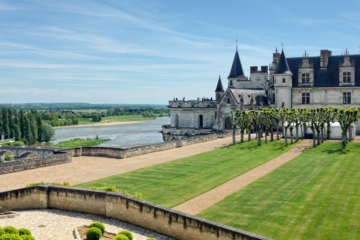 We promise that all of these locations are enticing enough to charm those in your party who aren’t quite as enthusiastic about these things as you might be, so no need to leave anyone behind. What holiday would be complete without a little celebration? 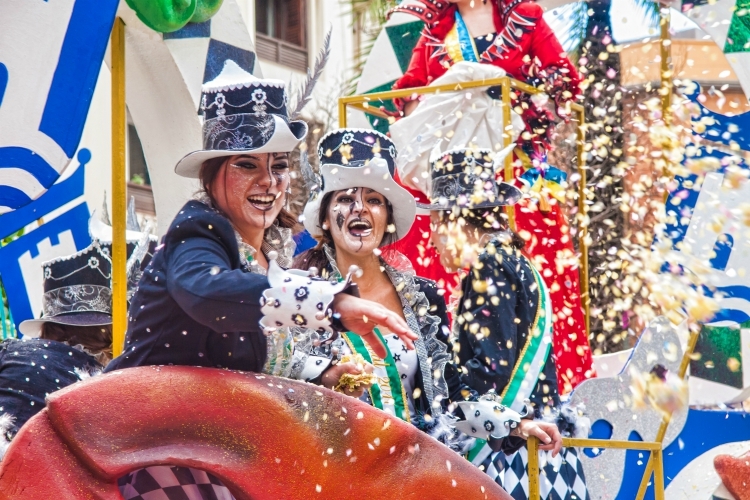 For those looking to let loose and have a good old laugh, head over to the Carnival of Cádiz. This traditional festival takes over the streets of, you guessed it, Cádiz, for two weeks each spring. It is inspired by the traditional Venetian carnivals and has been a big event for centuries. The town spends the whole year gearing up for the carnival, highly anticipating the singing, dancing and comedic plays performed in the streets. Groups of professional singers compete to come up with the wittiest satirical lyrics, dressed in spectacular and creative costumes. It’s a once-in-a-lifetime experience for most visitors! 10. Walk, Cycle & Ride! 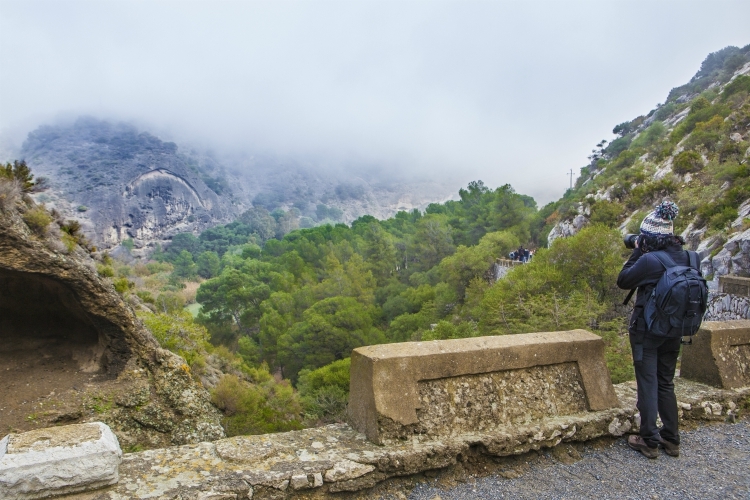 With mountain ranges like the Sierra Nevada and Alpujarra Hills, hiking, cycling and horse trekking are understandably popular in Andalusia. Much of the region is still free from tourism and development, so it’s the place to be for outdoor activities and adventures. The natural parks and sparkling seas of Andalusia are beyond inviting for anyone looking to explore the region off the beaten track. A great place to begin your experience of Andalusia’s wild side is the Andaventur Granada Adventure Company, who offer everything from canyoning to paragliding, making it easy to find your new favourite. To start planning your trip, check out our beautiful selection of luxury holiday villas in Andalusia. 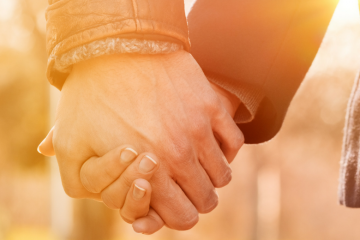 If you need help on your search just get in touch with our concierge team – they’re always happy to help! Great Top Ten of things to do. Very difficult to limit it to ten in this huge, vibrant and varied region with fabulous beaches, incredible culture and magnificent monuments.